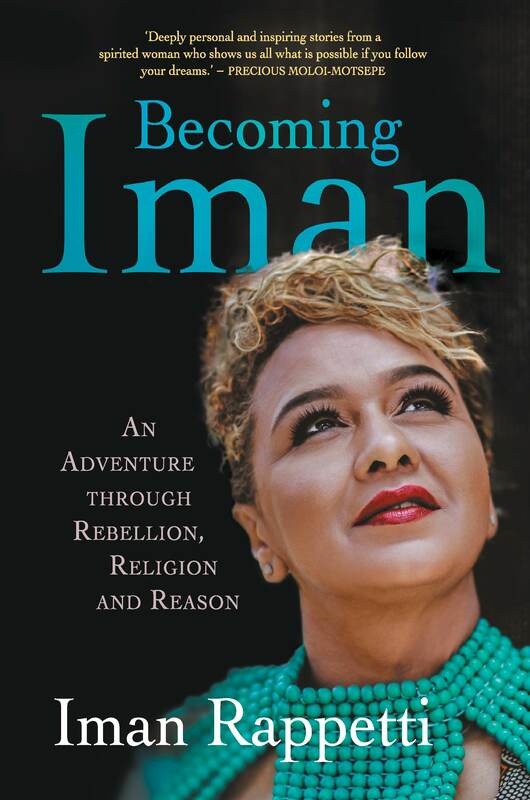 For readers who only know Iman Rappetti as a warm, skilled and urbane presenter on television and radio, this memoir will come as something of a surprise. We may think we know someone through their daily arrival into our space via the media, but in fact, we really know nothing about them other than that they are the one we like, or dislike. Rappetti grew up in Phoenix, living with her Indian father and her Coloured mother, a combination that caused deep family rifts. She loved both her parents, though her father was violent and abusive to his wife until he became part of an Evangelical Christian church and apparently changed his ways. And then there were her siblings. Her eldest brother had been forcibly removed from her mother straight after his birth to live with his Indian grandmother, and there were another older brother and sister who suddenly arrived back to live with the family without explanation. It was a complex, very South African childhood, taking place in the apartheid days where discovering your own identity was always going to be compromised and complicated. But Rappetti tells her tale with humour, bringing to life aunties and their “School of Suffering” (SOS) which they raised to an art form. The writing is beautiful, with unexpected and memorable turns of phrase, while the telling of the story is episodic, linear in emotion rather than in time. Once beyond the coming-of-age memoir stage, Rappetti’s life takes unexpected turns. From the evangelical Christianity of her upbringing, she converts to Islam, moves with her husband to Iran and becomes a veiled, submissive Muslim wife and mother as the reader begins to realise that whatever Rappetti does, she does wholeheartedly. It’s an extraordinary story, and the frankness with which she relates her growing later disillusion with both her marriage and her faith is powerful and compelling. Now, she sees the Muslim veil as a symbol of oppression, but her journey into faith and on to rebellion is fascinating to follow, as are the swings in her story between the sacred and the profane. Barry James is detained in a quarantine facility in the blistering heat of the Great Karoo. Here he exists in two worlds: the discordant and unforgiving reality of his incarceration and the lyrical, snowy landscapes of his dreams. Post apocalyptic motifs are overdone. Between The Walking Dead and The Hunger Games, contemporary media seems to scream the need for us all to be prepared for the worst – for the coming of the end. Whether or not this is a universal set of fears, or something unique to Hollywood is not much of a question. What matters is that it is a tired trope, and that anyone hoping to tackle the genre is going to have an uphill battle. Marcus Low makes light work of this challenge in his debut novel, Asylum. The novel follows, through a series of eloquent and detailed journal entries, the plight of James Barry. Barry has been diagnosed with a fatal lung disease – likely tuberculosis – and finds himself incarcerated in a treatment facility or modern day sanitorium, in the middle of the Karoo. His days drag on at a snail’s pace as he gazes out of the window at the dry bones of the earth, watching nothing happen, and writing regularly in his notebooks. He has made some friends though, and as inmates are want to do, they begin planning their escape. The novel traces Barry’s internal struggles as well as the planning and execution of their proposed escape. Composed of notebook fragments and interjected with editor’s notes, written from what is ostensibly the point of view of whoever discovered the notebooks, the novel has an intensely personal feel. Asylum is at once apocalyptic rendering, and psychological exploration. Continue reading Langdon’s review here. 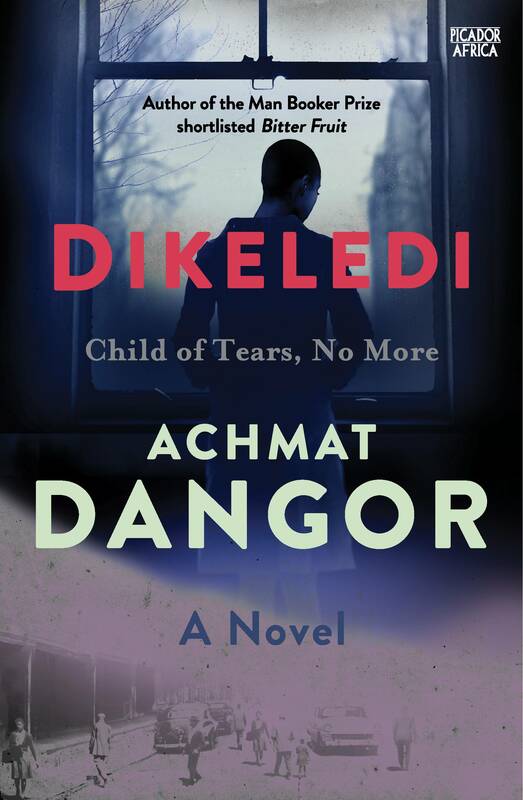 It has been a while since we had a new novel from Achmat Dangor, and in Dikeledi he has given us a complex and wide-ranging family saga that spans the years from 1970 to the present, set against the backdrop of South Africa’s turbulent political past and its disturbing current reality. Among the characters are Patrick Tau, a stern, silent figure who is the son of a respected pastor from Mahikeng – or Mafeking, or Mafikeng. Names, their changes and the reasons behind them are a recurring theme in the novel. Then there is Patrick’s wife Julia/Baile and their children, Pitso/Peter and Dikeledi/Miriam. At the outset, they live in the mixed suburb of Newclare, but the Group Areas act will soon put paid to that, forcing them back to the apartheid homeland of Bophutatswana. The story then jumps forward eight years, to 1978. Julia has left Patrick and returned to Johannesburg, where she is living with her female lover. In the first half of the book, Julia is the most realised and most intriguing character. But politics, and the involvement of her daughter in the struggle send her back to Patrick from the life she has carved out for herself. 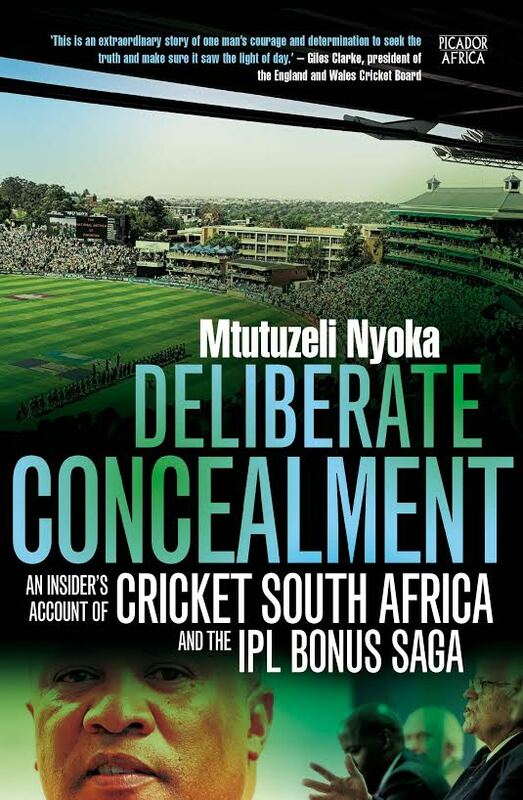 Fast forward again, and now the main weight of the story is carried by another Dikeledi, this time Pitso’s daughter who was born in New York to Pitso and his African-American wife. Following the deaths of her parents, she returns to South Africa, leaving her lecturing job to become a journalist. And what she uncovers pitches her and her South African Indian boyfriend into danger as a brutal history of struggle veterans and traitors is revealed. The novel is driven more by plot than character, and Dangor raises all kinds of issues – exile, displacement, belonging, politics, Aids, and always the apartheid past. As one character says: “we have sanctified the struggle”, but buried in it too were treachery and hatreds which are revealed and which stretch long tentacles into the present. There are moments in the latter part of the book when the saga aspect gives way to a political thriller, which does cause a certain unevenness of tone, but in general, Dangor handles his content in a more than competent manner. 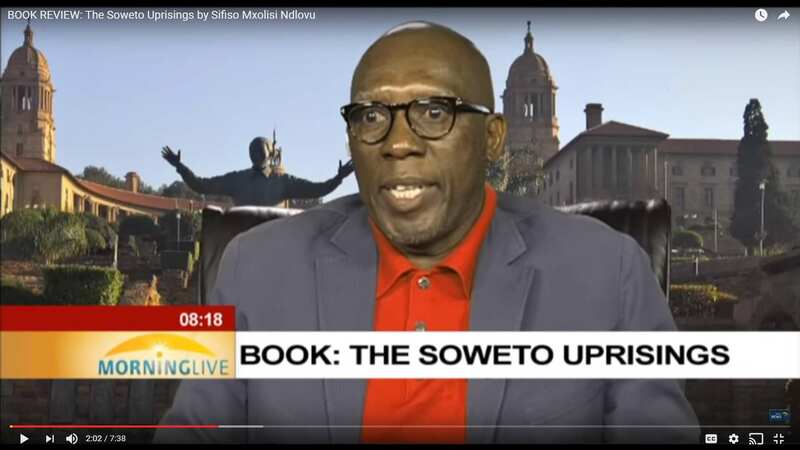 And, in doing so, he has created a powerful and thought-provoking novel of South Africa, its past, its challenges and possible hope for its future. Best mates Karl and Abu are both 17 and live near King’s Cross. It’s 2011 and racial tensions are set to explode across London. Abu is infatuated with gorgeous classmate Nalini but dares not speak to her. Meanwhile, Karl is the target of the local “wannabe” thugs just for being different. When Karl finds out his father lives in Nigeria, he decides that Port Harcourt is the best place to escape the sound and fury of London, and connect with a Dad he’s never known. Rejected on arrival, Karl befriends Nakale, an activist who wants to expose the ecocide in the Niger Delta to the world, and falls headlong for his feisty cousin Janoma. Meanwhile, the murder of Mark Duggan triggers a full-scale riot in London. Abu finds himself in its midst, leading to a near-tragedy that forces Karl to race back home. The narratorial spirit of this multi-layered novel is Esu, the Yoruba trickster figure, who haunts the crossroads of communication and misunderstanding. 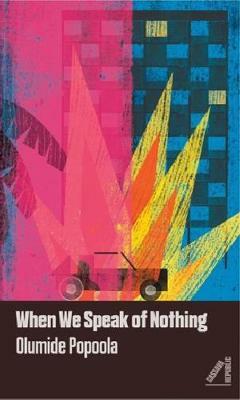 Read the Financial Times’ recent interview of Olumide’s remarkable book here. 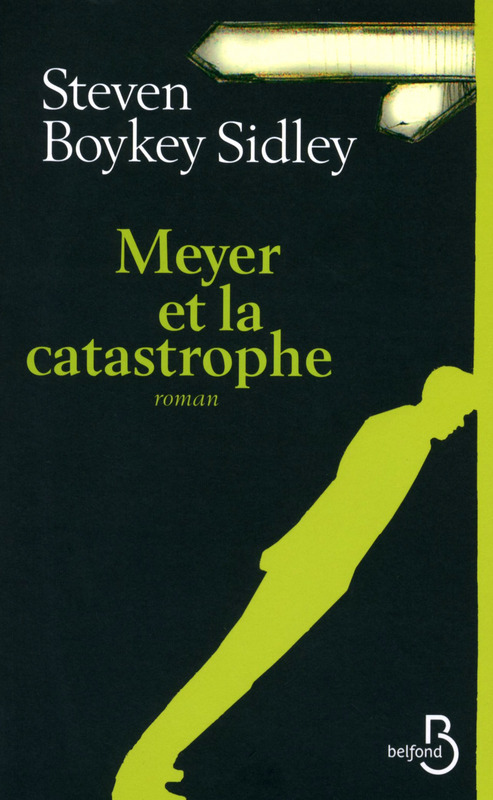 The French edition of Imperfect Solo by Steven Boykey Sidley has been receiving some excellent media coverage in that country, with the author being compared to heavy hitters such as Joseph Heller, Philip Roth and Richard Ford. Published locally by Pan Macmillan in 2014, this dark comedy follows the flailing and hapless Meyer who is seeking hope and redemption as his world unravels around him. His random misfortune begs the question: Will Meyer find his grace? Can he, or we, ever? 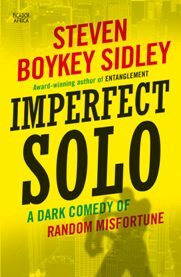 Imperfect Solo is Sidley’s third novel and was longlisted for the 2015 Sunday Times Barry Ronge Fiction Prize. 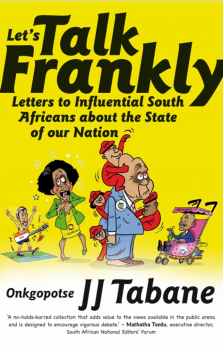 Steven Boykey Sidley has divided his adult life between the USA and South Africa. He has meandered through careers as an animator, chief technology officer for a Fortune 500 company, jazz musician, software developer, video game designer, private equity investor and high technology entrepreneur. He currently lives in Johannesburg with his wife and two children. Sidley’s novel Entanglement is the winner of the 2013 University of Johannesburg Prize (Debut) and was shortlisted that same year for The Sunday Times Fiction Prize and The MNet Literary Award. 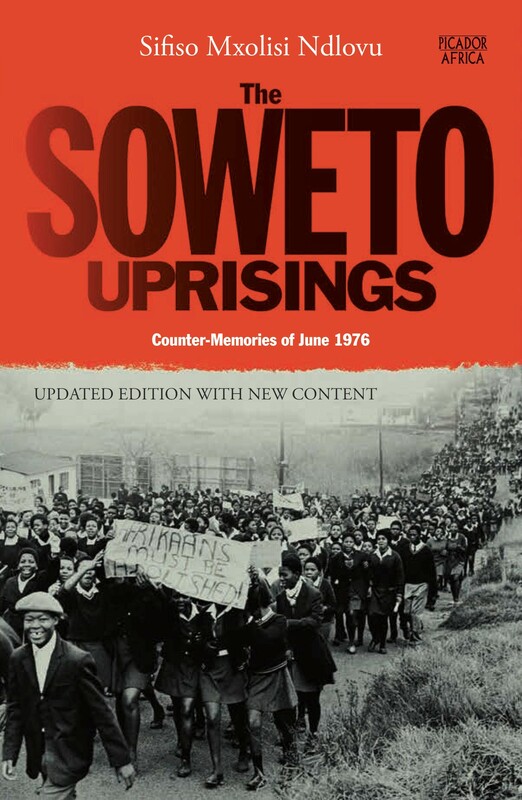 In 2014, Sidley’s second novel Stepping Out was shortlisted for the UJ Main Prize. 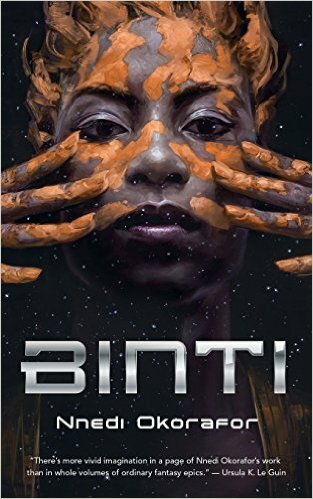 Tor.com Publishing has just published Nigerian-American fantasy and science fiction author Nnedi Okorafor’s Afrofuturist novella Binti. Binti – Okorafor first book set in outer space – is now available in ebook, print on demand and audiobook editions. Tor.com Publishing is distributed locally by Pan Macmillan. Binti tells the story of a 16-year-old girl from Namibia who is leaving home to take advantage of an opportunity to study at the prestigious Oomza University. The story is rooted simultaneously in the current reality of Africa and an speculative universe of the future, which makes it socially relevant in a number of different ways. What is most important about Okorafor’s work is that she sees diverse races and cultures as being just as much of the future as they are of the present—something mainstream SF doesn’t always do. Not just does she put Africans from all over the continent in the futures she creates with great clarity and purpose, she makes certain that their various cultures travel forward with them, informing these futures, maintaining unique customs. Okorafor’s stories are where the ancient cultures of Africa meet the future, where what we have been and what makes us human meets what we can be and what we may be in the future. Godzilla. And not the heroic Godzilla, the one that comes and destroys sh*t for no reason. Life on Mars, definitely! Youth is highly overrated, Martians aren’t. Tor.com Publishing, an imprint dedicated to novellas and short novels, launched this September with Kai Ashante Wilson’s critically acclaimed fantasy The Sorcerer of the Wildeeps. Tor.com has long published award-winning short genre fiction, and our new line provides a home for emerging and established writers to tell focused, engaging stories in exactly the number of words they choose. Binti by Nnedi Okorafor: Her name is Binti, and she is the first of the Himba people ever to be offered a place at Oomza University, the finest institution of higher learning in the galaxy. But to accept the offer will mean giving up her place in her family to travel between the stars among strangers who do not share her ways or respect her customs. Envy of Angels by Matt Wallace: In New York, eating out can be hell. Everyone loves a well-catered event, and the supernatural community is no different, but where do demons go to satisfy their culinary cravings? Welcome to Sin du Jour—where devils on horseback are the clients, not the dish. You can find out more about our current titles, including Sunset Mantle by Alter S. Reiss, Of Sorrow and Such by Angela Slatter, and K.J. Parker’s The Last Witness, here. All of our titles are available globally in print, DRM-free ebook, and audiobook format. Starting next year, a select number of our titles, including Every Heart a Doorway by Seanan McGuire (April 2016) and Infomocracy by Malka Older (June 2016), will also receive traditional print runs in partnership with Tor Books. The Guardian recently featured Under Ground by SL Grey in a round-up review of the best science fiction books at the moment. Under Ground, co-authored by Sarah Lotz and Louis Greenberg, was reviewed alongside Chris Beckett’s Mother of Eden, Becky Chambers’ The Long Way to a Small, Angry Planet, Stephen Palmer’s Beautiful Intelligence; Ian Sales’ All That Outer Space Allows and Alex Lamb’s Roboteer. Eric Brown writes in his review that Under Ground “ramps up the tension to an almost unbearable level”. It’s JG Ballard meets Agatha Christie, with a soupcon of Patricia Highsmith thrown in. Grey rotates the viewpoint through the eyes of five very different characters, ramps up the tension to an almost unbearable level, and ends with a stunning double finale. Congratulations on your wonderful debut, Flat water Tuesday, a riveting novel. The sport is not just about brute power. Or endurance. Or the ability to suffer. Rowing in a team forces you to respond to what other men do in the boat. To adhere to a strategy. To follow commands. To put your petty gripes and prejudices and fears aside” (65). Rowing is a metaphor for endurance. Are you personally interested in this sport? I learned how to row at the West Side Rowing Club in Buffalo, New York when I was 15 and went on to boarding school in Connecticut, where I rowed for three years. I also rowed at university in two varsity teams. I have rowed as a sculler, in a four-man shell and in an eight-man shell. It is safe to say that there was a considerable time in my life when all that mattered was rowing. I was lucky enough to have had magnificent coaching and to have rowed with some truly talented oarsmen. It really wasn’t until my last year in university when it occurred to me that there might be more to life than rowing, and I quit the sport so I could have free time to have fun, party … do normal college student things. But I also knew that I was not going to get much better as a rower. I had reached my personal best during the final races of my third year at university. Overall, I was a good rower, but not as good as the main character in my novel. Zimbabwe, a country in shackles of its own making, is guilty of “politicide”, as we learn in Peter Godwin’s account of the last Zimbabwean elections, The Fear, which tracks the near-wiping out of an opposition movement. So the culture of fear sets in, and the people are cowed into resistance, discussing their fate in hushed tones and only with people they trust to share the same sentiments. And the fear rots us from the core, eats at us until the day they herd us to the ballot box and we speak in overwhelming numbers … again. But after reading Peter Godwin’s harrowing book, The Fear: Robert Mugabe and the Martyrdom of Zimbabwe, I’m not so sure. Godwin grew up in what had been Rhodesia. He witnessed the war of liberation and Mugabe’s rise to power. He saw Zimbabwe flourish — then curdle. Deep into the night, in pursuit of the westward escaping sun, we fly into a fogbank, where the cold Atlantic breakers curdle upon the warm West African shore below. Consoled, somehow, to have reached the continent of my birth, I lay down my book and fall uncomfortably asleep, my head wedged against the buzzing fuselage. I am on my way home to Zimbabwe, to dance on Robert Mugabe’s political grave. The crooked elections he has just held have spun out of his control, and after twenty-eight years the world’s oldest leader is about to be toppled. When I arrive the next evening in Harare, the capital, his portrait is everywhere still, staring balefully down at us. From the walls of the airport, as the immigration officer harvests my U.S. dollars, sweeping them across his worn wooden counter, and softly thumping a smudged blue visa into my passport. From the campaign placards pasted to the posts of the broken street lights, during our feral packs of hollow-chested dogs, he raises his fist into the sultry dome of night, as though blaming the fates for his mutinous subjects.